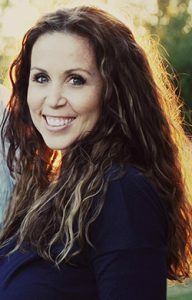 Lindsay Baum has been a licensed Realtor in the White Mountains of AZ since 2010. She was born and raised in the White Mountains. She loves this area and considers herself lucky to raise her 5 children here. She enjoys the privilege of helping other families do the same. Lindsay and her husband have been buying and selling investment properties for most of their 16 year marriage. She loves the entire process of the hunt, the purchase, envisioning what a property can be, owning, remodeling, building, and selling of real estate. Her heart still races with excitement every time she walks into property with a client and imagines life there and all the potential it holds. Lindsay believes that property ownership is one of the wisest and most exciting investments one can make. She works with 1sttime homeowners all the way up to the seasoned investor. She can help one through the entire buying or selling process, with the professional standards one would expect in a Realtor.